Side-saddle-putting - Will improve your game to the next level - GP putter. Want to improve your score? ADD the HBB 56 degree wedge for only $24.99 to any golf club order. 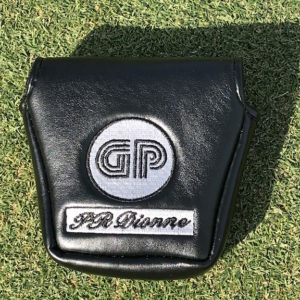 The side-saddle GP putter is the way to go and legal in 2019! 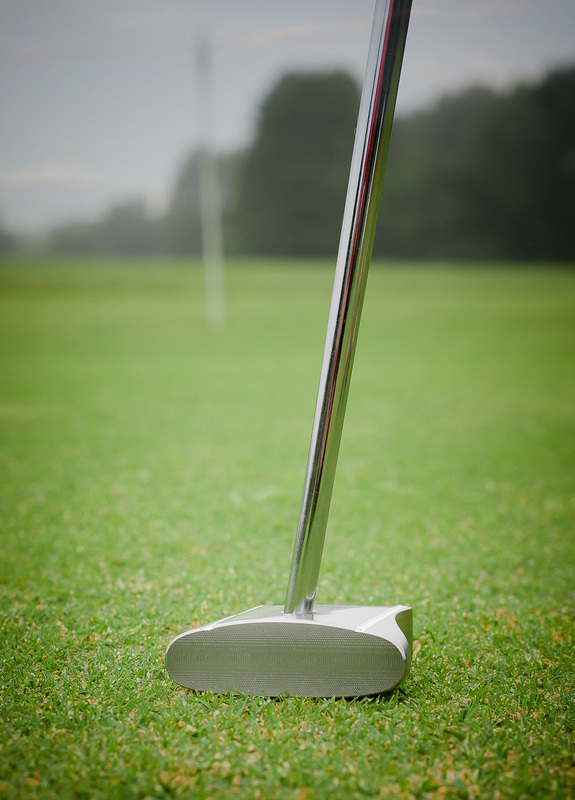 The GP putter WILL dramatically improve the way you putt. Look at our videos and you will understand why this putting technique is easy to master while still being 100% legal for any golf tournament in the world. 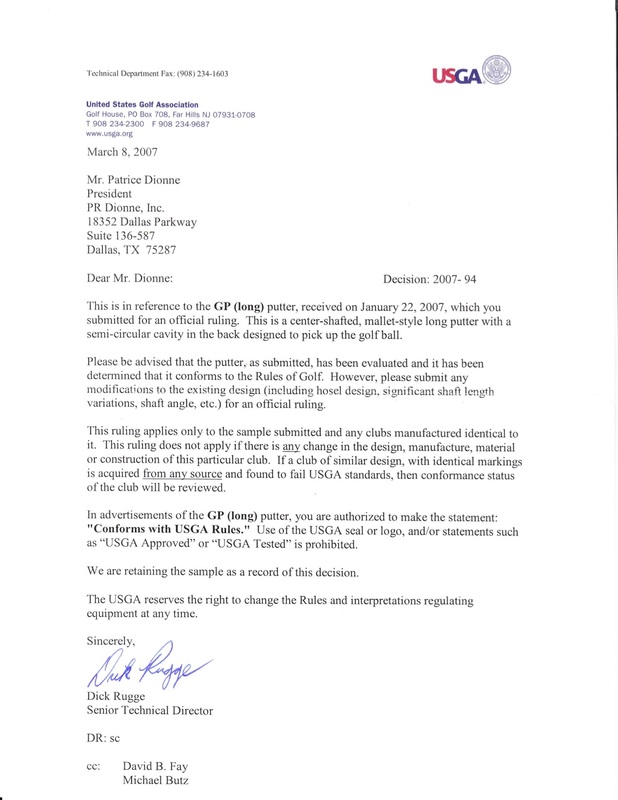 The GP putter is been on the market for over 12 years and counting! Why I putt using the side saddle putting technique? Well to make a short story, I was not a good putter because of my vision problem when using a short putter. But I noticed that when I setup from the side, I would see and think that my putter head was aiming exactly to the middle of the hole. However, when someone would hold my putter in place and I was able to look from behind it, I would CLEARLY see that my putter was NOT aiming at the hole. Therefore, I decided on the following drill to try to fix this issue! On a straight line putt from 1 foot to 6 feet I would try to make 3 putts from each 12 inches distance up to 6 feet distance. But when I would miss one putt I would start the process all over again. I never did succeed in making those 18 putts in a row from the normal putting stance. After continually trying this drill over and over and not succeeding, I mentioned this to my brother. He said STOP complaining and invent a putter that works like your “side saddle / face on chipping golf club” that you successfully invented. So I followed his recommendation and you can now see from the videos that this has REALLY changed my putting drastically. FOR THE BETTER!! As you may know, putting represents over 40% of your score in golf. So, it is VERY clear that we all need to improve this very important part of your game. I practiced from inside 10 feet 90% of the time because the statistics clearly show that we have 50% of our putts from inside 6 feet. Almost every time you 3 putt it because you miss your second putt from inside of 6 feet to the hole. Lagging your putts is easy if you are very good from inside 10 feet this gives you a big bucket to aim at. Like I mention in the videos, I concentrate on the speed and distance of every putt after carefully selecting my target line to inside the hole. My recommendation is that when you receive the GP putter find a straight line putt of 6 feet and putt 100 balls from there. This will do a few things for you. You will find a side saddle putting stance that is very comfortable for you and therefore, you’re putting stroke will be both consistent and accurate. After doing this 100 times, you will then clearly know if you correctly setup for that target line the ball will go on that line. We don’t open or close the putter head at all during the putting stroke. Click here for the basic side saddle setup. Just make sure you thank everyone when they say good putt 😉 This is the fund part of the game. The Side Saddle Chipping golf club is for shots from around the green. You could try with your own golf club like your 9 iron and try that side saddle chipping motion. 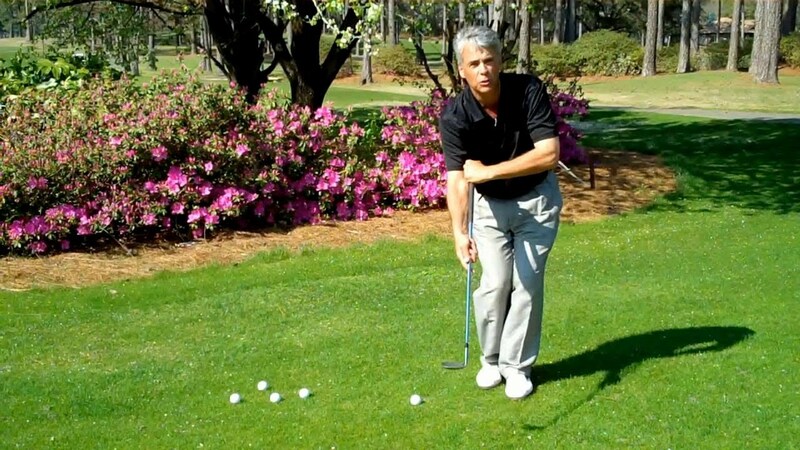 The stroke to be used is exactly like tossing a ball with your hand at the target. You want to be very precise, so it does not require power for this face on chipping shot. Again give yourself a very good lie to start and just chip the ball a few feet in front of you. We want to learn how to walk before we run, so it’s the same thing with the face on chipping golf club. Have a look at my side saddle chipping video where I show the basics and where it would be best for you to use it. Now for a normal golf swing of the HBB 56 degree wedge! Why should I be interested in that HBB wedge? For a few reasons, the bounce on the wedge was invented in the 1930’s and the reason they place the bounce at that location was to prevent the club from digging into the sand. 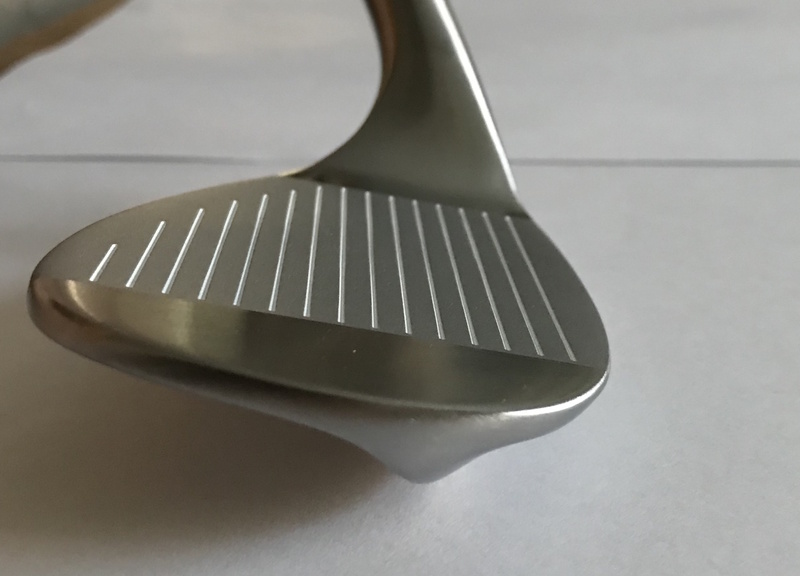 We designed the HBB wedge with the bounce in the back. Therefore, if you open the club a little or place the HBB head in the front of your stance then you just get the bounce that you need in the bunker. The main difference between the HBB and a regular wedge is that we have use of the bounce only when we want it. When you are in the middle of the fairway we don’t use the bounce of the club and for this reason we are able to have a good descending blow on the ball that generate good backspin with a very nice divot.